Many parents worry about their teenagers using drugs or alcohol. Although facts still support concern, a recent survey shows steady declines in alcohol consumption and cigarette use in recent years. The National Institute of Drug Abuse (NIDA) released good news this week, showing alcohol and cigarette use at “historic lows” among teens. Unfortunately, marijuana, prescription drugs, and cigarette alternatives remain popular. “That cigarette use has declined to historically low rates is welcome news, given our concerns that declines may have slowed or stalled in recent years," NIDA director, Nora Volkow, M.D., states. "That being said, the teen smoking rate is declining much more slowly than in years past, and we are seeing teens consume other tobacco products at high levels. This highlights the urgency of maintaining strong prevention efforts against teen smoking and of targeting other tobacco products." The annual Monitoring the Future (MTF) survey, polling teenagers since 1975 in eighth, tenth, and twelfth grade, was used to gather data. 46,773 students from 400 schools participated to provide this year’s information, available on the National Institute of Health’s website. Students reported drug use behavior across three general time periods, including lifetime use, use within the past month, or with the past year. In 2011, cigarette use went from a high of thirty-seven percent in 1997 and twenty-one percent in 2006 down to nineteen percent in twelfth grade students. Alcohol use also peaked in 1997, with a seventy-five percent reported usage, down to sixty-five percent this year. Eighth graders also demonstrated large decreases from previous highs. Cigarette use dropped fifteen percent from 1996 stats and alcohol consumption fell from a high of forty-seven percent in 1994 to a lesser twenty-seven percent in 2011. NIDA additionally reports a five-year universal decrease in “binge drinking” across students, which involves the intake of five or more drinks in a row. Although efforts to reduce alcohol and cigarette use have results to back them, marijuana and prescription drug use continues to rise. Thirty-six percent of high school seniors reported using marijuana within the past year, seven percent admitting to daily usage. These figures were up five and almost two percent, respectively, from 2006, believed to be due to a downward perception of risk associated with marijuana. Additionally, concerns about synthetic marijuana arise, prompting its inclusion into this year’s survey, with an eleven percent usage among twelfth graders. Adding to concerns, painkillers and attention stimulators continue to be abused by adolescents. While Vicodin slowly dwindles in popularity, OxyContin use remains steady, as does the intake of ADHD medications Adderall and Ritalin. Dr. Volkow and her team focus on prevention. 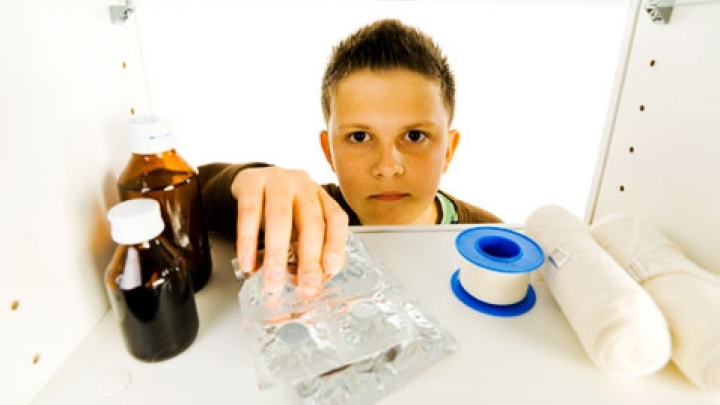 "To help educate teens about the dangers of prescription drug abuse, NIDA is launching an updated prescription drug section on our teen website," Volkow informs. "Teens can go to our PEERx pages to find interactive videos and other tools that help them make healthy decisions and understand the risks of abusing prescription drugs. We are also encouraging teens to provide feedback on these resources through NIDA's teen blog, Sara Bellum, Twitter, Facebook, YouTube, or email." A link for the page can be found in our dailyRx citations. According to dailyRx expert and Director of Research at the New England Center for Pediatric Psychology, Robert Pressman, Ph.D., parents may dismiss such behavior as “a common passing stage of adolescence,” to be supported with such high rates of use and abuse among these students. However, substance abuse is connected to an increased risk mental illness and criminal activity and is not to be taken lightly. Dr. Pressman states, “The worst thing about child and adolescent use of drugs and alcohol is that it stops social development dead in its tracks.” Past research by Ken Winters, Ph.D., and psychiatry professor at University of Minnesota, suggests that the human brain matures during adolescence into the early twenties. An immature brain leads to poor decisions, such as ingesting harmful substances, and unfortunately, it may also leave teenagers with an elevated risk to the effects of alcohol and drug abuse. It’s important for those concerned about substance abuse with minors to speak with their parents, and it’s wise for parents to speak with health professionals about appropriate treatments to stop a problem before it escalates. Talk to a doctor if concerned about alcohol or drug use and your child.